Officials from the Lake County, Fla., school district say $75,000 worth fresh fruits and vegetables like these provided to students during lunch ended up in the trash. Cafeteria trash cans in some Florida schools may soon be getting a high-tech makeover. After finding out that most of the fruits and vegetables on the school lunch menu ended up in the trash, school board members in the Lake County school district in central Florida are considering attaching cameras to school cafeteria trash cans to study what students are tossing out. "I said, how about we put cameras in the trash cans so we can document the concrete data of what students are throwing out," School Board member Tod Howard told NBC News. "That way we can not only show what the students are not eating, but we can also look at how presentation affects consumption and present that data to the federal government if we need to." Howard said he made the suggestion as a 2010 federal law on child nutrition, vigorously promoted by first lady Michelle Obama, went into effect in schools across the nation. 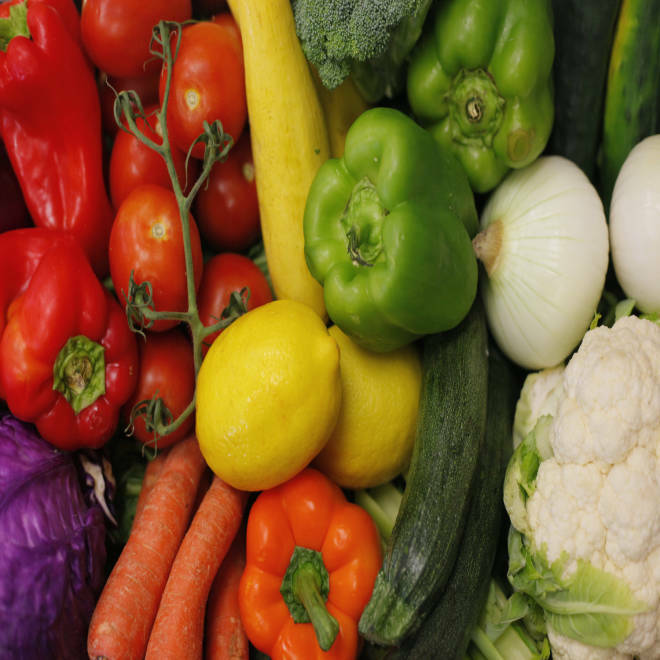 Among other things, the law requires schools across the county to serve an increased number of vegetables, including weekly servings of leafy greens, red or orange vegetables, and legumes. Students must take at least one serving, but according to officials from the Lake County Food Services Department, Howard said, that led students last year to toss about $75,000 worth of produce in the garbage. “They have to take it, and then it ends up in the trash can. And that’s a waste of taxpayer money, and it’s also not giving students the nutrition that they need. " Howard said the idea is still in its early stages, and he and other school board members are still working out logistics. While he says the actual cost of the initiative for the 40,000-student district has not yet been quantified, he suspected it would be low because he proposed re-purposing old security cameras that the school already owns for the trash can monitoring. "It’s really just using equipment we already have," Howard said. "The technology would provide a cost savings to do those sort of things." No decisions have been made on the cameras. School officials say the cameras wouldn't capture the student’s faces, just what they’re throwing away.